Hi, Tiddly Fans! 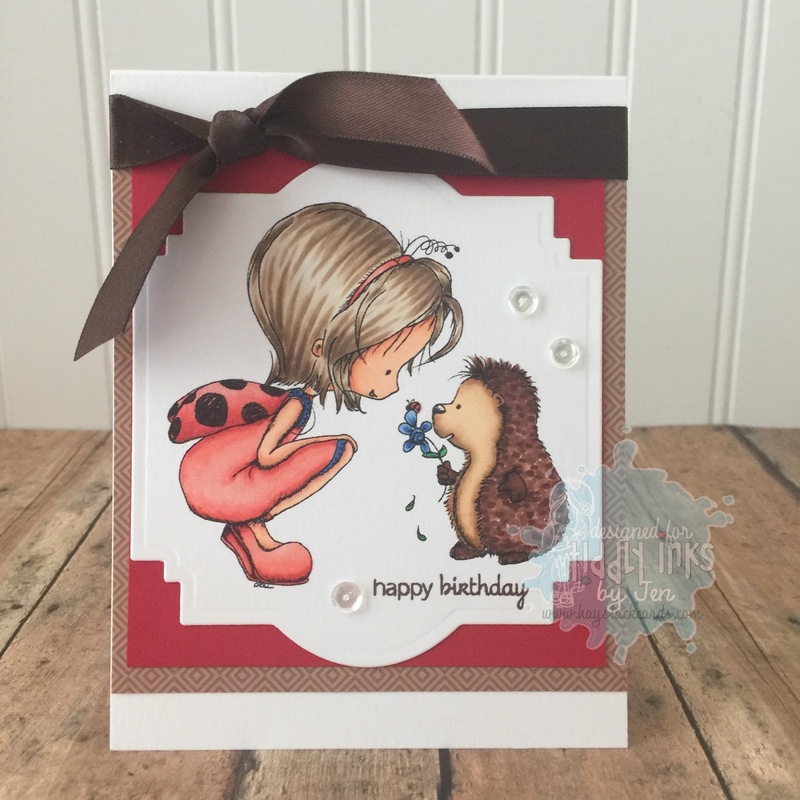 This week, I am featuring an adorable birthday card using the Bugs and Kisses digital stamp. 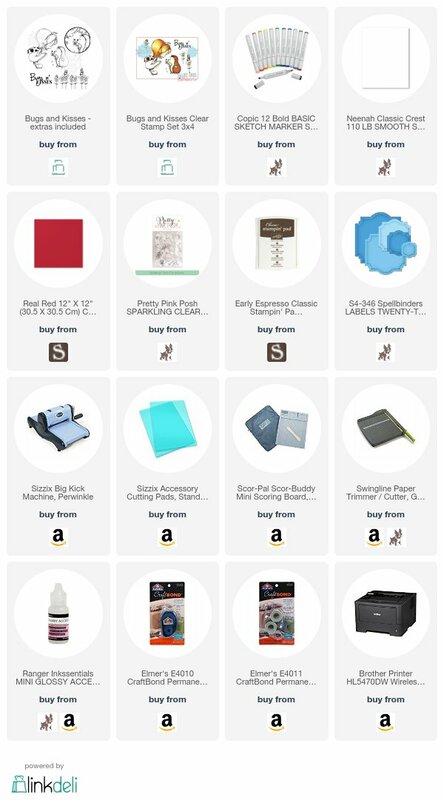 This image is also available as a clear stamp set (see product list below). The image is colored with Copics, then cut with one of my wafer thin frame dies. Then I framed it out with a layer of red cardstock and patterned cardstock. To finish off the card, I tied a brown satin ribbon in a knot and added a few clear sequins. This card and the image is so adorable. I love the whole idea of the hedgehog and the cute fairy. You have colored them wonderfully. Thanks so much for sharing with us at Seize the Birthday; Hope to see you again. Your coloring is sensational! Love the layout and the framed dies! Super, Super card! Thanks so much for being in our gallery at Seize the Birthday...we sure do appreciate it! Really darling card. 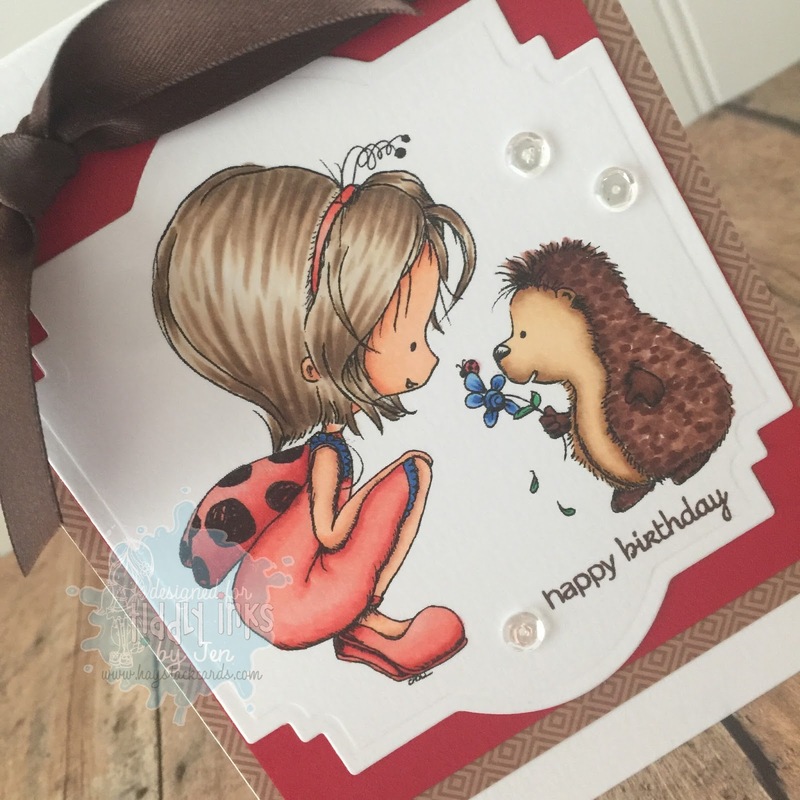 Your subtle print patterned paper goes so well with that image and the smart label die. Thanks for sharing with us at CraftyHazelnut's Patterned Paper challenge! I love the colors you chose for this design!